Aaron Rodgers and the Green Bay Packers are coming off a disappointing and drama-filled 2018 campaign that saw longtime head coach Mike McCarthy get the boot. The backdrop here was Rodgers’ relationship with his now-former head coach and whether he can coexist with new Packers head man Matt LaFleur. The ex’s: To say that there was a rift between Rodgers and McCarthy would be an understatement. At times, Rodgers would simply change the play-call without letting his former head coach know. 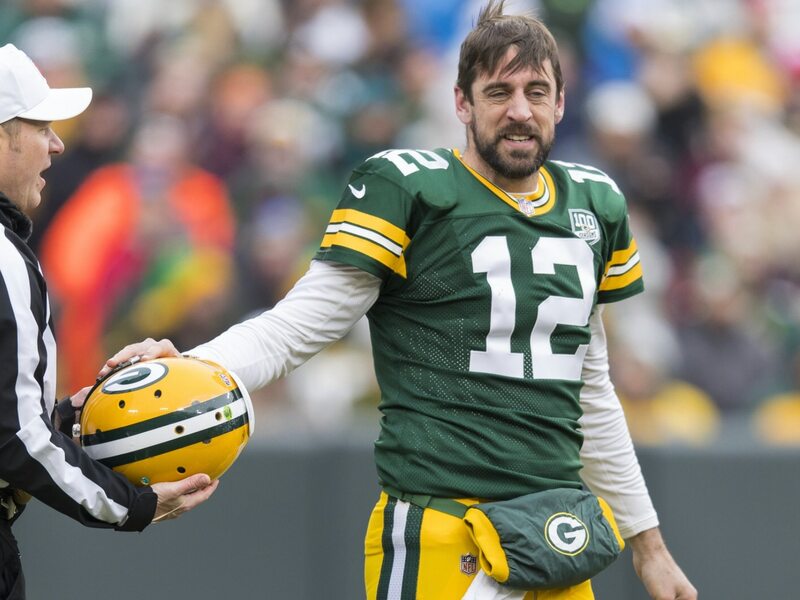 Him or me: While there’s no reports that Rodgers gave the Packers some sort of ultimatum, it was also rather obvious that the former MVP wasn’t bent out of shape over McCarthy’s firing. The Brett Favre equivalency: A lot of people wanted to blame Favre for the lack of relationship he had with Rodgers during the end of the former’s career in Green Bay. Now, we’re not too sure. Rumors persist: It’s not a well-kept secret that Rodgers is seen as an outcast when it comes to Green Bay’s locker room. Sure that might not have played a role in his marriage with Mike McCarthy coming to an end, but it is still interesting to note. Jermichael Finley: He’s coachable to a point. Once you try to overcoach him, that’s when he’s going to do his own thing. Greg Jennings: We all saw what Mike McCarthy was unable to do, which was get the best out of Aaron Rodgers that he possibly could. Kabeer Gbaja-Biamila: When Aaron became The Man, he was The Man, especially in his own eyes. Let’s just put it that way. Jeff Janis: I think positive reinforcement works a lot better than negative (for Rodgers). Finley’s stance that Rodgers will “do his own” thing aligns perfectly with what we saw in Green Bay this past season. Jennings took a bit more of an objective approach by blaming both McCarthy and Rodgers. Meanwhile, KGB pretty much called the quarterback an egomaniac. Put together, these are not necessarily flattering terms. Finley: At this moment, you just gave this guy $200 million. It’s going to be very hard to coach a guy same age, his pay scale is up here and it’s going to be hard to tell Aaron what to do. Jennings: You’re going to be coming in, starting from scratch with a guy (Rodgers) who has one of the highest IQs in football, who believes he knows just about everything, if not all of everything. Gbaja-Biamila: And I felt that Aaron was a little bit more on the arrogant side (in comparison to Favre). This is no way an attempt to burn Rodgers or come across as vindictive. That’s at least the way we take the comments from his former teammates. It’s simply the reality of the situation. He’s a high maintenance quarterback. In many ways, that comes with being among the game’s greatest. It’s now up to LaFleur to get the most out of Rodgers — something we clearly didn’t see from McCarthy. All quotes from former Packers courtesy of Forbes.